Larry Weil, better known as "Pretty Boy" Larry Sharpe a journeyman wrestler in the 70s who became far more influential as a trainer of wrestlers, passed away tonight at the age of 66. Weil had been suffering from liver cancer for a number of years and had been in hospice care. Weil was a strong amateur wrestler out of Paulsboro, NJ, who was brought into pro wrestling by Gorilla Monsoon and Wild Red Berry. 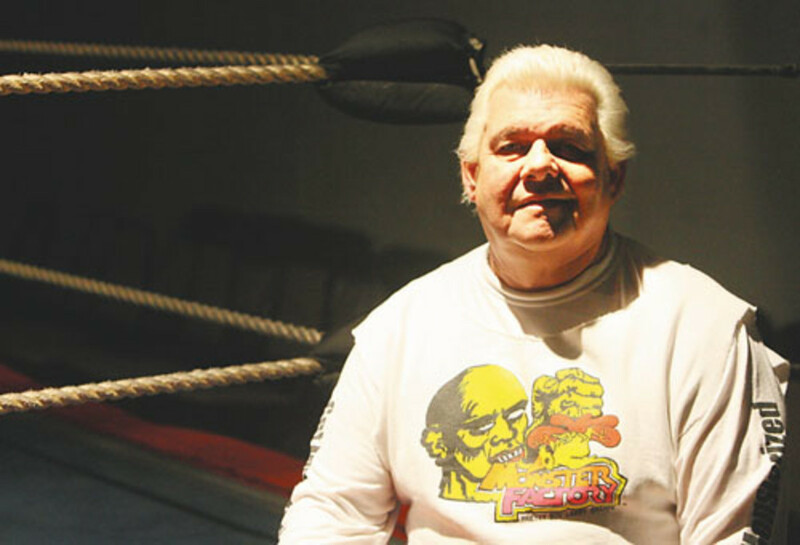 He worked all over the country from 1974 to 1982 as a mid-level wrestler, before returning home and working with Buddy Rogers to open up The Monster Factory in Paulsboro, the most publicized and talked about pro wrestling school of that era. Weil's original prized pupil was Scott "Bam Bam" Bigelow, and he returned to wrestling full-time as Bigelow's manager in a number of territories, including being there when Bigelow became a major star in New Japan Pro Wrestling. The two had a split which went to court. Weil and Dennis Coraluzzo promoted independent shows for years using Sharpe's students and bringing in major names. Weil, as Sharpe and the original Jack Evans worked as one of the incarnations of the Hollywood Blonds tag team, who headlined in Puerto Rico during the heyday of that territory, when Monsoon had an ownership interest in WWC. Weil got started as a trainer early on, as he was working in Texas and helped break in Kevin Von Erich. At one time or another, he helped train Big Show, Tatanka, Chris Candito, Cliff Compton, D-Lo Brown, Charles "Godfather" Wright, John Zandig, Balls Mahoney, 911, Giant Silva, The Pitbulls, Duane Gill, King Kong Bundy, Raven, Roadblock, Sheamus, Ted "Rocco Rock" Petty, Mike "Virgil" Jones, The Headbangers, Sonjay Dutt, Tony Atlas and many others. Danny Cage now runs the school, taking it over years ago. Weil was still involved with the show until recent years when his health issues got worse. Wrestling Observer Live 4/15 with Special Guest Danny Cage of the Monster Factory~! FREE TODAY! 4/10 Doc Young's Wrestling Weekly w/Special Guest Danny Cage of The Monster Factory~!